Costa da Caparica on the west coast of Portugal is back on the map this April when it plays host to two massive industry events. The World Surfing League rolls into town and hits up one of the prime beach breaks in Portugal, where onlookers can witness the Caparica Pro, a WQS 1000 event, the Caparica Longboard Pro and the Caparica Junior Pro. 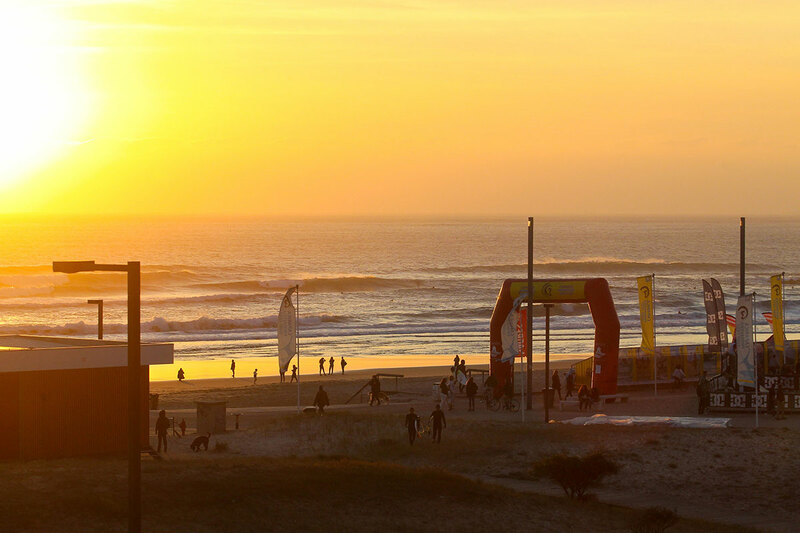 Between 06 April – 15 April, 350 international surfers will converge on the sundrenched Portuguese town for the three events. “It’s the return of World Tour level surfing to Caparica”, says Miguel Inacio, the man in charge of organising the sporting side of the festival. But not only is the WSL comp igniting the area, the festival distinguishes itself by presenting high performance surfing by day and the best national music by night. Some of Portugal’s finest including Frankie Chavez, Paus, Diogo Piçarra, Regula or Virgul alongside dance music, hip hop, reggae and rock! A whole world of music in Caparica in six amazing venues with 21 Artists and DJs.